Does cheese make you fat? Many years ago I attended a parochial high school. 1 summer they sponsored a European study abroad trip for students and I signed up to go. We went to three countries. This may seem odd but one of the things I remember most from this trip was the yummy cheese I had in Amsterdam. It was so great I had some shipped home so that I could keep eating it after the trip. There’s something about cheese I have loved for several years. So why not I eat cheese now? 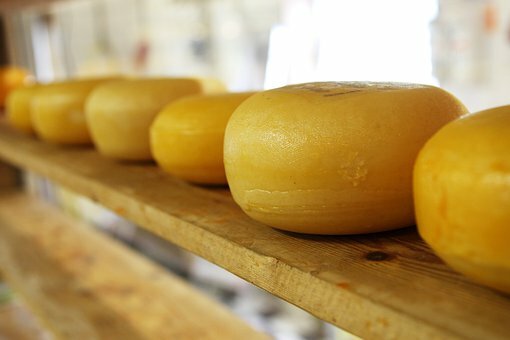 There is so much medical specialists and researchers have uncovered about cheese and our health. Let’s take a quick look at only three health concerns on the topic of cheese. Does cheese tend to be addictive? Does cheese cause health issues? Dr. Neal Barnard MD of The Physicians Committee for Responsible Medicine points out that 70% of calories are from fat. Saturated fat is the dominant fat in cheese. What does our body do when it requires in excess fat from high fat foods? People’s growing waistlines shows it stores the fat. There is another challenge that adds to the weight gaining issue with people eating cheese. There’s no fiber in cheese. Fat – What adds attractive taste to foods is fat. Olive oil is pure fat and people love how it makes their cakes taste. Cheese has a very high fat content which is another reason people love it’s taste and want more. Casein – The most important protein is casein. When consumed it becomes something called casomorphins which is an opioid that’s addictive. Nature designed it this way so young nursing mammals might want to have the milk they need in early life to live. Human milk comprises two kinds of proteins: whey and casein. Approximately 60% is whey, while 40% is casein. On the other hand cows milk 82% is casein and 18% is whey. It takes 10 pounds of cow’s milk to make one pound of cheese so the concentration of casein is very high. Does that explain why people have such a hard time with the concept of cutting back or giving up cheese in their diet? Fat, salt, and casein make it addictive and very difficult to give up. Let’s look at the situation logically. Cheese is a substance that’s very high in saturated fat. Cheese is a substance that’s very addictive as see by our increasing consumption through the years. Is it any wonder cheese promotes obesity which results in health problems like heart attacks, strokes and type 2 diabetes to name only a few? Is it any wonder with all that salt it contains it promotes high blood pressure? Cheese is loaded with health promoting issues and American diets are loaded with cheese. As much as I liked that cheese in Amsterdam, now I don’t eat cheese and I feel good. There are a lot of other delicious food options today I don’t even missed it. The HealingDish.com blog is just like the name says, it helps people heal in a more natural manner, by making smart choices on which they put in their dish. So sooo many diseases can be prevented and even reversed by eating tasty foods that heal your body rather than hurting your body. Grant-Valkaria Wildlife Removal would be happy to assist you remove any nuisance wildlife that maybe attracted to your cooking.